"The Revolution was effected before the war commenced. The Revolution was in the hearts and minds of the people." Throughout the 18th century, the maturing British North American colonies inevitably forged a distinct identity. They grew vastly in economic strength and cultural attainment; virtually all had long years of self-government behind them. In the 1760s their combined population exceeded 1,500,000 – a six-fold increase since 1700. Nonetheless, England and America did not begin an overt parting of the ways until 1763, more than a century and a half after the founding of the first permanent settlement at Jamestown, Virginia. In the aftermath of the French and Indian War, London saw a need for a new imperial design that would involve more centralized control, spread the costs of empire more equitably, and speak to the interests of both French Canadians and North American Indians. The colonies, on the other hand, long accustomed to a large measure of independence, expected more, not less, freedom. And, with the French menace eliminated, they felt far less need for a strong British presence. A scarcely comprehending Crown and Parliament on the other side of the Atlantic found itself contending with colonists trained in self‑government and impatient with interference. The organization of Canada and of the Ohio Valley necessitated policies that would not alienate the French and Indian inhabitants. Here London was in fundamental conflict with the interests of the colonies. Fast increasing in population, and needing more land for settlement, they claimed the right to extend their boundaries as far west as the Mississippi River. The British government, fearing a series of Indian wars, believed that the lands should be opened on a more gradual basis. Restricting movement was also a way of ensuring royal control over existing settlements before allowing the formation of new ones. The Royal Proclamation of 1763 reserved all the western territory between the Allegheny Mountains, Florida, the Mississippi River, and Quebec for use by Native Americans. Thus the Crown attempted to sweep away every western land claim of the 13 colonies and to stop westward expansion. Although never effectively enforced, this measure, in the eyes of the colonists, constituted a high-handed disregard of their fundamental right to occupy and settle western lands. More serious in its repercussions was the new British revenue policy. London needed more money to support its growing empire and faced growing taxpayer discontent at home. It seemed reasonable enough that the colonies should pay for their own defense. That would involve new taxes, levied by Parliament – at the expense of colonial self-government. The first step was the replacement of the Molasses Act of 1733, which placed a prohibitive duty, or tax, on the import of rum and molasses from non-English areas, with the Sugar Act of 1764. This act outlawed the importation of foreign rum; it also put a modest duty on molasses from all sources and levied taxes on wines, silks, coffee, and a number of other luxury items. The hope was that lowering the duty on molasses would reduce the temptation to smuggle the commodity from the Dutch and French West Indies for the rum distilleries of New England. The British government enforced the Sugar Act energetically. Customs officials were ordered to show more effectiveness. British warships in American waters were instructed to seize smugglers, and "writs of assistance," or warrants, authorized the king's officers to search suspected premises. Both the duty imposed by the Sugar Act and the measures to enforce it caused consternation among New England merchants. They contended that payment of even the small duty imposed would be ruinous to their businesses. Merchants, legislatures, and town meetings protested the law. Colonial lawyers protested "taxation without representation," a slogan that was to persuade many Americans they were being oppressed by the mother country. The issue thus drawn centered on the question of representation. The colonists believed they could not be represented in Parliament unless they actually elected members to the House of Commons. But this idea conflicted with the English principle of "virtual representation," according to which each member of Parliament represented the interests of the whole country and the empire – even if his electoral base consisted of only a tiny minority of property owners from a given district. This theory assumed that all British subjects shared the same interests as the property owners who elected members of Parliament. The American leaders argued that their only legal relations were with the Crown. It was the king who had agreed to establish colonies beyond the sea and the king who provided them with governments. They asserted that he was equally a king of England and a king of the colonies, but they insisted that the English Parliament had no more right to pass laws for the colonies than any colonial legislature had the right to pass laws for England. In fact, however, their struggle was equally with King George III and Parliament. Factions aligned with the Crown generally controlled Parliament and reflected the king’s determination to be a strong monarch. The British Parliament rejected the colonial contentions. British merchants, however, feeling the effects of the American boycott, threw their weight behind a repeal movement. In 1766 Parliament yielded, repealing the Stamp Act and modifying the Sugar Act. However, to mollify the supporters of central control over the colonies, Parliament followed these actions with passage of the Declaratory Act, which asserted the authority of Parliament to make laws binding the colonies "in all cases whatsoever." The colonists had won only a temporary respite from an impending crisis. The year 1767 brought another series of measures that stirred anew all the elements of discord. Charles Townshend, British chancellor of the exchequer, attempted a new fiscal program in the face of continued discontent over high taxes at home. Intent upon reducing British taxes by making more efficient the collection of duties levied on American trade, he tightened customs administration and enacted duties on colonial imports of paper, glass, lead, and tea from Britain. The “Townshend Acts” were based on the premise that taxes imposed on goods imported by the colonies were legal while internal taxes (like the Stamp Act) were not. The Townshend Acts were designed to raise revenue that would be used in part to support colonial officials and maintain the British army in America. In response, Philadelphia lawyer John Dickinson, in Letters of a Pennsylvania Farmer, argued that Parliament had the right to control imperial commerce but did not have the right to tax the colonies, whether the duties were external or internal. During a three-year interval of calm, a relatively small number of radicals strove energetically to keep the controversy alive. They contended that payment of the tax constituted an acceptance of the principle that Parliament had the right to rule over the colonies. They feared that at any time in the future, the principle of parliamentary rule might be applied with devastating effect on all colonial liberties. The radicals' most effective leader was Samuel Adams of Massachusetts, who toiled tirelessly for a single end: independence. From the time he graduated from Harvard College in 1743, Adams was a public servant in some capacity – inspector of chimneys, tax-collector, and moderator of town meetings. A consistent failure in business, he was shrewd and able in politics, with the New England town meeting his theater of action. Adams wanted to free people from their awe of social and political superiors, make them aware of their own power and importance, and thus arouse them to action. Toward these objectives, he published articles in newspapers and made speeches in town meetings, instigating resolutions that appealed to the colonists' democratic impulses. In 1772 he induced the Boston town meeting to select a "Committee of Correspondence" to state the rights and grievances of the colonists. The committee opposed a British decision to pay the salaries of judges from customs revenues; it feared that the judges would no longer be dependent on the legislature for their incomes and thus no longer accountable to it, thereby leading to the emergence of "a despotic form of government." The committee communicated with other towns on this matter and requested them to draft replies. Committees were set up in virtually all the colonies, and out of them grew a base of effective revolutionary organizations. Still, Adams did not have enough fuel to set a fire. In 1773, however, Britain furnished Adams and his allies with an incendiary issue. The powerful East India Company, finding itself in critical financial straits, appealed to the British government, which granted it a monopoly on all tea exported to the colonies. The government also permitted the East India Company to supply retailers directly, bypassing colonial wholesalers. By then, most of the tea consumed in America was imported illegally, duty-free. By selling its tea through its own agents at a price well under the customary one, the East India Company made smuggling unprofitable and threatened to eliminate the independent colonial merchants. Aroused not only by the loss of the tea trade but also by the monopolistic practice involved, colonial traders joined the radicals agitating for independence. In ports up and down the Atlantic coast, agents of the East India Company were forced to resign. New shipments of tea were either returned to England or warehoused. In Boston, however, the agents defied the colonists; with the support of the royal governor, they made preparations to land incoming cargoes regardless of opposition. On the night of December 16, 1773, a band of men disguised as Mohawk Indians and led by Samuel Adams boarded three British ships lying at anchor and dumped their tea cargo into Boston harbor. Doubting their countrymen's commitment to principle, they feared that if the tea were landed, colonists would actually purchase the tea and pay the tax. A crisis now confronted Britain. The East India Company had carried out a parliamentary statute. If the destruction of the tea went unpunished, Parliament would admit to the world that it had no control over the colonies. 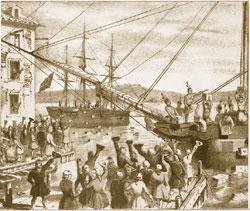 Official opinion in Britain almost unanimously condemned the Boston Tea Party as an act of vandalism and advocated legal measures to bring the insurgent colonists into line. Parliament responded with new laws that the colonists called the "Coercive” or “Intolerable Acts." The first, the Boston Port Bill, closed the port of Boston until the tea was paid for. The action threatened the very life of the city, for to prevent Boston from having access to the sea meant economic disaster. Other enactments restricted local authority and banned most town meetings held without the governor's consent. A Quartering Act required local authorities to find suitable quarters for British troops, in private homes if necessary. Instead of subduing and isolating Massachusetts, as Parliament intended, these acts rallied its sister colonies to its aid. The Quebec Act, passed at nearly the same time, extended the boundaries of the province of Quebec south to the Ohio River. In conformity with previous French practice, it provided for trials without jury, did not establish a representative assembly, and gave the Catholic Church semi-established status. By disregarding old charter claims to western lands, it threatened to block colonial expansion to the North and Northwest; its recognition of the Roman Catholic Church outraged the Protestant sects that dominated every colony. Though the Quebec Act had not been passed as a punitive measure, Americans associated it with the Coercive Acts, and all became known as the "Five Intolerable Acts." At the suggestion of the Virginia House of Burgesses, colonial representatives met in Philadelphia on September 5, 1774, "to consult upon the present unhappy state of the Colonies." Delegates to this meeting, known as the First Continental Congress, were chosen by provincial congresses or popular conventions. Only Georgia failed to send a delegate; the total number of 55 was large enough for diversity of opinion, but small enough for genuine debate and effective action. The division of opinion in the colonies posed a genuine dilemma for the delegates. They would have to give an appearance of firm unanimity to induce the British government to make concessions. But they also would have to avoid any show of radicalism or spirit of independence that would alarm more moderate Americans. A cautious keynote speech, followed by a "resolve" that no obedience was due the Coercive Acts, ended with adoption of a set of resolutions affirming the right of the colonists to "life, liberty, and property," and the right of provincial legislatures to set "all cases of taxation and internal polity." The most important action taken by the Congress, however, was the formation of a "Continental Association" to reestablish the trade boycott. It set up a system of committees to inspect customs entries, publish the names of merchants who violated the agreements, confiscate their imports, and encourage frugality, economy, and industry. The Continental Association immediately assumed the leadership in the colonies, spurring new local organizations to end what remained of royal authority. Led by the pro-independence leaders, they drew their support not only from the less well-to-do, but from many members of the professional class (especially lawyers), most of the planters of the Southern colonies, and a number of merchants. They intimidated the hesitant into joining the popular movement and punished the hostile; began the collection of military supplies and the mobilization of troops; and fanned public opinion into revolutionary ardor. Many of those opposed to British encroachment on American rights nonetheless favored discussion and compromise as the proper solution. This group included Crown-appointed officers, Quakers, and members of other religious sects opposed to the use of violence, numerous merchants (especially in the middle colonies), and some discontented farmers and frontiersmen in the Southern colonies. The king might well have effected an alliance with these moderates and, by timely concessions, so strengthened their position that the revolutionaries would have found it difficult to proceed with hostilities. But George III had no intention of making concessions. In September 1774, scorning a petition by Philadelphia Quakers, he wrote, "The die is now cast, the Colonies must either submit or triumph." This action isolated Loyalists who were appalled and frightened by the course of events following the Coercive Acts. General Thomas Gage, an amiable English gentleman with an American-born wife, commanded the garrison at Boston, where political activity had almost wholly replaced trade. Gage's main duty in the colonies had been to enforce the Coercive Acts. When news reached him that the Massachusetts colonists were collecting powder and military stores at the town of Concord, 32 kilometers away, Gage sent a strong detail to confiscate these munitions. After a night of marching, the British troops reached the village of Lexington on April 19, 1775, and saw a grim band of 77 Minutemen – so named because they were said to be ready to fight in a minute – through the early morning mist. The Minutemen intended only a silent protest, but Marine Major John Pitcairn, the leader of the British troops, yelled, "Disperse, you damned rebels! You dogs, run!" The leader of the Minutemen, Captain John Parker, told his troops not to fire unless fired at first. The Americans were withdrawing when someone fired a shot, which led the British troops to fire at the Minutemen. The British then charged with bayonets, leaving eight dead and 10 wounded. In the often-quoted phrase of 19th century poet Ralph Waldo Emerson, this was "the shot heard round the world." The British pushed on to Concord. The Americans had taken away most of the munitions, but they destroyed whatever was left. In the meantime, American forces in the countryside had mobilized to harass the British on their long return to Boston. All along the road, behind stone walls, hillocks, and houses, militiamen from "every Middlesex village and farm" made targets of the bright red coats of the British soldiers. By the time Gage’s weary detachment stumbled into Boston, it had suffered more than 250 killed and wounded. The Americans lost 93 men. The Second Continental Congress met in Philadelphia, Pennsylvania, on May 10. The Congress voted to go to war, inducting the colonial militias into continental service. It appointed Colonel George Washington of Virginia as their commander-in-chief on June 15. Within two days, the Americans had incurred high casualties at Bunker Hill just outside Boston. Congress also ordered American expeditions to march northward into Canada by fall. Capturing Montreal, they failed in a winter assault on Quebec, and eventually retreated to New York. Despite the outbreak of armed conflict, the idea of complete separation from England was still repugnant to many members of the Continental Congress. In July, it adopted the Olive Branch Petition, begging the king to prevent further hostile actions until some sort of agreement could be worked out. King George rejected it; instead, on August 23, 1775, he issued a proclamation declaring the colonies to be in a state of rebellion. The governor of North Carolina, Josiah Martin, also urged North Carolinians to remain loyal to the Crown. When 1,500 men answered Martin's call, they were defeated by revolutionary armies before British troops could arrive to help. British warships continued down the coast to Charleston, South Carolina, and opened fire on the city in early June 1776. But South Carolinians had time to prepare, and repulsed the British by the end of the month. 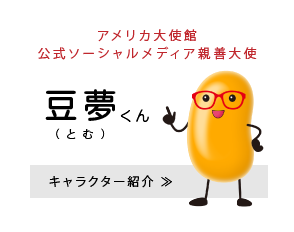 They would not return South for more than two years. In January 1776, Thomas Paine, a radical political theorist and writer who had come to America from England in 1774, published a 50-page pamphlet, Common Sense. Within three months, it sold 100,000 copies. Paine attacked the idea of a hereditary monarchy, declaring that one honest man was worth more to society than "all the crowned ruffians that ever lived." He presented the alternatives – continued submission to a tyrannical king and an outworn government, or liberty and happiness as a self-sufficient, independent republic. Circulated throughout the colonies, Common Sense helped to crystallize a decision for separation. There still remained the task, however, of gaining each colony's approval of a formal declaration. On June 7, Richard Henry Lee of Virginia introduced a resolution in the Second Continental Congress, declaring, "That these United Colonies are, and of right ought to be, free and independent states. ...” Immediately, a committee of five, headed by Thomas Jefferson of Virginia, was appointed to draft a document for a vote. them shall seem most likely to effect their Safety and Happiness. Jefferson linked Locke's principles directly to the situation in the colonies. To fight for American independence was to fight for a government based on popular consent in place of a government by a king who had "combined with others to subject us to a jurisdiction foreign to our constitution, and unacknowledged by our laws. ...” Only a government based on popular consent could secure natural rights to life, liberty, and the pursuit of happiness. Thus, to fight for American independence was to fight on behalf of one's own natural rights. Although the Americans suffered severe setbacks for months after independence was declared, their tenacity and perseverance eventually paid off. During August 1776, in the Battle of Long Island in New York, Washington's position became untenable, and he executed a masterly retreat in small boats from Brooklyn to the Manhattan shore. British General William Howe twice hesitated and allowed the Americans to escape. By November, however, Howe had captured Fort Washington on Manhattan Island. New York City would remain under British control until the end of the war. That December, Washington's forces were near collapse, as supplies and promised aid failed to materialize. Howe again missed his chance to crush the Americans by deciding to wait until spring to resume fighting. On Christmas Day, December 25, 1776, Washington crossed the Delaware River, north of Trenton, New Jersey. In the early-morning hours of December 26, his troops surprised the British garrison there, taking more than 900 prisoners. A week later, on January 3, 1777, Washington attacked the British at Princeton, regaining most of the territory formally occupied by the British. The victories at Trenton and Princeton revived flagging American spirits. In September 1777, however, Howe defeated the American army at Brandywine in Pennsylvania and occupied Philadelphia, forcing the Continental Congress to flee. Washington had to endure the bitterly cold winter of 1777‑1778 at Valley Forge, Pennsylvania, lacking adequate food, clothing, and supplies. Farmers and merchants exchanged their goods for British gold and silver rather than for dubious paper money issued by the Continental Congress and the states. Valley Forge was the lowest ebb for Washington's Continental Army, but elsewhere 1777 proved to be the turning point in the war. British General John Burgoyne, moving south from Canada, attempted to invade New York and New England via Lake Champlain and the Hudson River. He had too much heavy equipment to negotiate the wooded and marshy terrain. On August 6, at Oriskany, New York, a band of Loyalists and Native Americans under Burgoyne's command ran into a mobile and seasoned American force that managed to halt their advance. A few days later at Bennington, Vermont, more of Burgoyne's forces, seeking much-needed supplies, were pushed back by American troops. Moving to the west side of the Hudson River, Burgoyne's army advanced on Albany. The Americans were waiting for him. Led by Benedict Arnold – who would later betray the Americans at West Point, New York – the colonials twice repulsed the British. Having by this time incurred heavy losses, Burgoyne fell back to Saratoga, New York, where a vastly superior American force under General Horatio Gates surrounded the British troops. On October 17, 1777, Burgoyne surrendered his entire army – six generals, 300 other officers, and 5,500 enlisted personnel. In France, enthusiasm for the American cause was high: The French intellectual world was itself stirring against feudalism and privilege. However, the Crown lent its support to the colonies for geopolitical rather than ideological reasons: The French government had been eager for reprisal against Britain ever since France's defeat in 1763. To further the American cause, Benjamin Franklin was sent to Paris in 1776. His wit, guile, and intellect soon made their presence felt in the French capital, and played a major role in winning French assistance. France began providing aid to the colonies in May 1776, when it sent 14 ships with war supplies to America. In fact, most of the gunpowder used by the American armies came from France. After Britain's defeat at Saratoga, France saw an opportunity to seriously weaken its ancient enemy and restore the balance of power that had been upset by the Seven Years' War (called the French and Indian War in the American colonies). On February 6, 1778, the colonies and France signed a Treaty of Amity and Commerce, in which France recognized the United States and offered trade concessions. They also signed a Treaty of Alliance, which stipulated that if France entered the war, neither country would lay down its arms until the colonies won their independence, that neither would conclude peace with Britain without the consent of the other, and that each guaranteed the other's possessions in America. This was the only bilateral defense treaty signed by the United States or its predecessors until 1949. The Franco-American alliance soon broadened the conflict. In June 1778 British ships fired on French vessels, and the two countries went to war. In 1779 Spain, hoping to reacquire territories taken by Britain in the Seven Years' War, entered the conflict on the side of France, but not as an ally of the Americans. In 1780 Britain declared war on the Dutch, who had continued to trade with the Americans. The combination of these European powers, with France in the lead, was a far greater threat to Britain than the American colonies standing alone. With the French now involved, the British, still believing that most Southerners were Loyalists, stepped up their efforts in the Southern colonies. A campaign began in late 1778, with the capture of Savannah, Georgia. Shortly thereafter, British troops and naval forces converged on Charleston, South Carolina, the principal Southern port. They managed to bottle up American forces on the Charleston peninsula. On May 12, 1780, General Benjamin Lincoln surrendered the city and its 5,000 troops, in the greatest American defeat of the war. But the reversal in fortune only emboldened the American rebels. South Carolinians began roaming the countryside, attacking British supply lines. In July, American General Horatio Gates, who had assembled a replacement force of untrained militiamen, rushed to Camden, South Carolina, to confront British forces led by General Charles Cornwallis. But Gates's makeshift army panicked and ran when confronted by the British regulars. Cornwallis's troops met the Americans several more times, but the most significant battle took place at Cowpens, South Carolina, in early 1781, where the Americans soundly defeated the British. After an exhausting but unproductive chase through North Carolina, Cornwallis set his sights on Virginia. In July 1780 France's King Louis XVI had sent to America an expeditionary force of 6,000 men under the Comte Jean de Rochambeau. In addition, the French fleet harassed British shipping and blocked reinforcement and resupply of British forces in Virginia. French and American armies and navies, totaling 18,000 men, parried with Cornwallis all through the summer and into the fall. Finally, on October 19, 1781, after being trapped at Yorktown near the mouth of Chesapeake Bay, Cornwallis surrendered his army of 8,000 British soldiers. Although Cornwallis's defeat did not immediately end the war – which would drag on inconclusively for almost two more years – a new British government decided to pursue peace negotiations in Paris in early 1782, with the American side represented by Benjamin Franklin, John Adams, and John Jay. On April 15, 1783, Congress approved the final treaty. Signed on September 3, the Treaty of Paris acknowledged the independence, freedom, and sovereignty of the 13 former colonies, now states. The new United States stretched west to the Mississippi River, north to Canada, and south to Florida, which was returned to Spain. The fledgling colonies that Richard Henry Lee had spoken of more than seven years before had finally become "free and independent states."